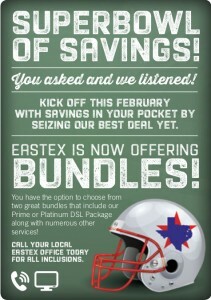 We bundled so you can save! Take advantage of this deal by calling your local office today! This past weekend the 2nd annual Main Street Mardi Gras 2016 Gumbo Cook Off was held at the Downtown Heritage Square in Henderson, Texas. Eastex Telephone Cooperative, Inc. won first place for the Best Decorated Booth!